*)I have been working on this song for a long time. It seemed to come together a few days ago. and who, so generously, have embraced my work. them tottering over the final line, A thousand kisses deep. I hope this is an end to it for a while." 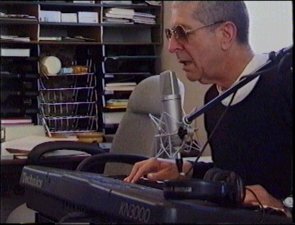 Copyright © 1998-2001 Leonard Cohen.